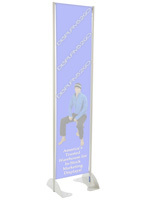 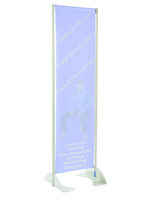 Banner Size: 20" x 72"
16" x 72" 18" x 72"
Crafted from 100% aluminum, this 20” x 72” gray permanent banner stand features a powder coated exterior for long term use in outdoor environments. 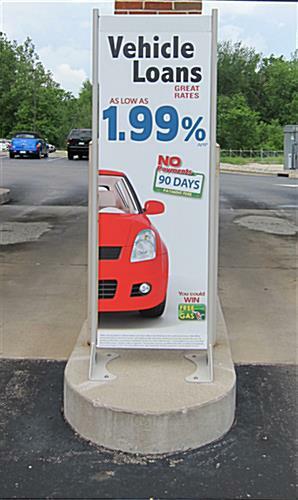 Many banking centers, restaurants and large shopping centers use the advertising display solution to hold vinyl posters. 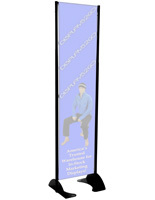 Each fixed mounted banner stand is a that is built to sustain all weather elements and withstand up to 60 MPH winds. 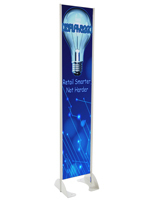 A product like the one shown here is designed to bring your company’s message into the eyes of the public in high visibility environments! 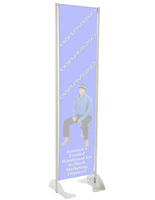 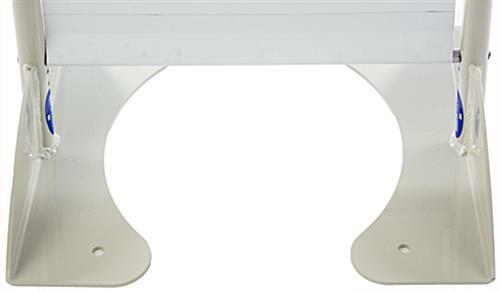 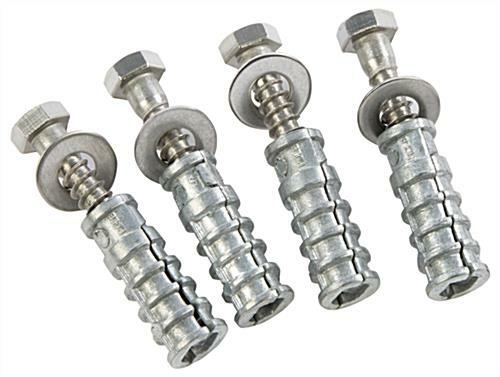 The banner stand features a spring loaded tension bar to keep the heavy duty poster snugly in place during use. 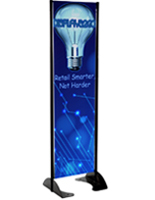 Use an outdoor display solution for advertising new products or services outside credit unions, dining facilities, parking areas and more! 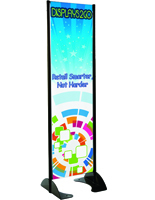 Graphic not included. 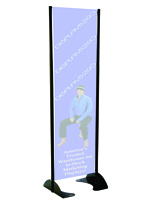 22.8" x 77.0" x 16.0"